The first stamp and Panama’s independence are closely tied together, so to understand Panama stamp collecting, you need to know the history of how Panama achieved independence. From the time of colonization and after, Panama’s fate has been closely tied to foreign powers. 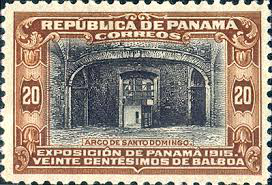 Before Panama’s independence in 1904, there were in fact no Panama stamps to collect. In 1821, Panama would finally gain independence from Spanish rule, and this is largely thanks to the fact Spain was crippled by Napoleon’s invasion which resulted in Spain losing most of its colonies. Once Panama gained independence, it would join in a union of Latina American nations united under Simón Bolívar, but the union would not last long due to internal disputes. By 1831, Panama would become a province of Columbia until 1841, when it would be put in the international spotlight due to its unique geographical position. Once the world’s major powers discovered Panama was the narrowest point in Latin America between the Atlantic and Pacific Ocean. The U.S. intervened to help back Panama’s fight for independence from Columbia. In 1903, Panama would once again be a free state thanks to American intervention. States stamps which featured over-prints of ‘Canal Zone’. 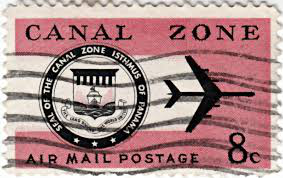 Overprints of the “Canal Zone” were on the stamps until 1978 when Panama officially took over the administration of the postal service. If you are interested in collecting stamps from Panama or other Latin American countries, then feel free to contact Treasure Coast Island. They sell, buy and provide information invaluable to philatelies around the world. Brief Postal History of Canal Zone. Australian Philatelic Trader’s Association.